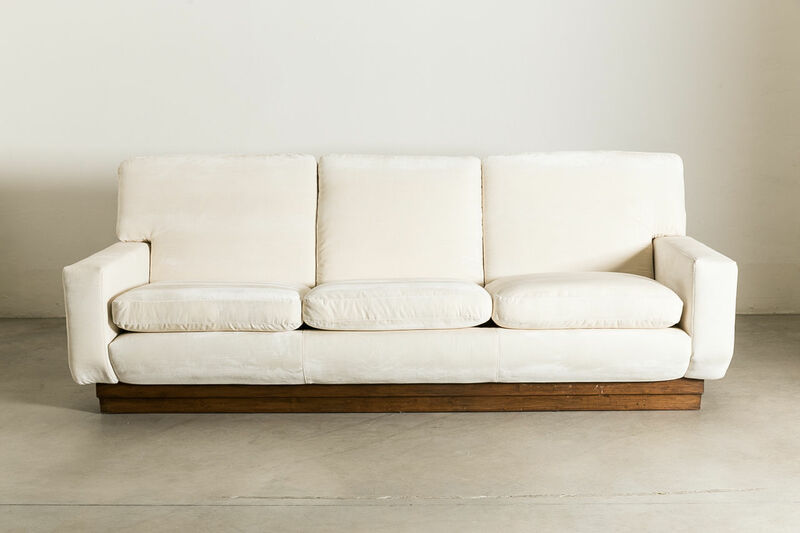 This custom designed sofa is so elegant. 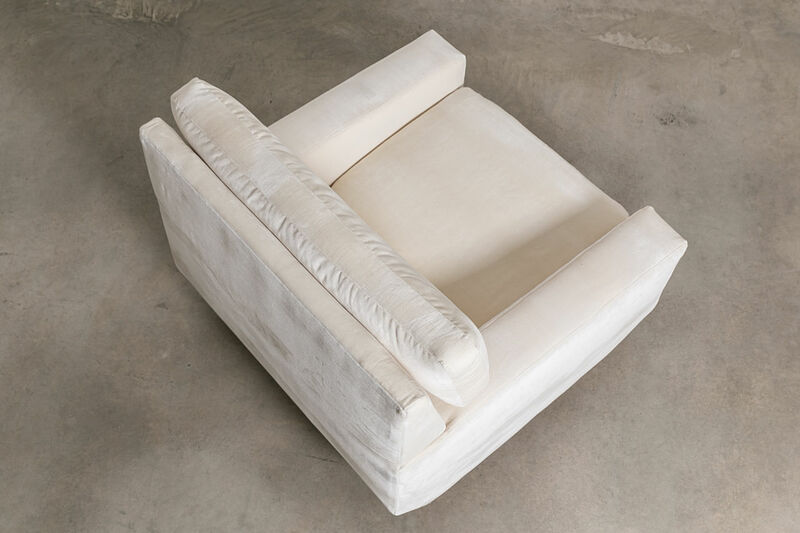 By Pierre Balmain, CIrca 1975, France. 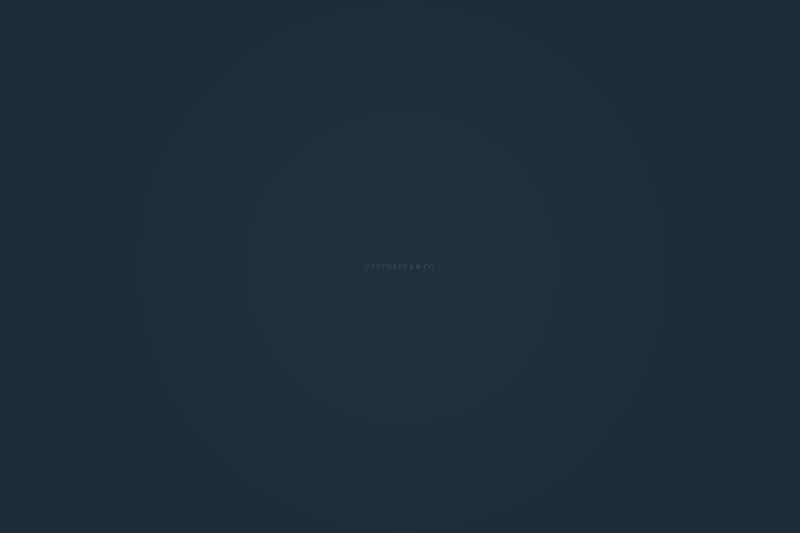 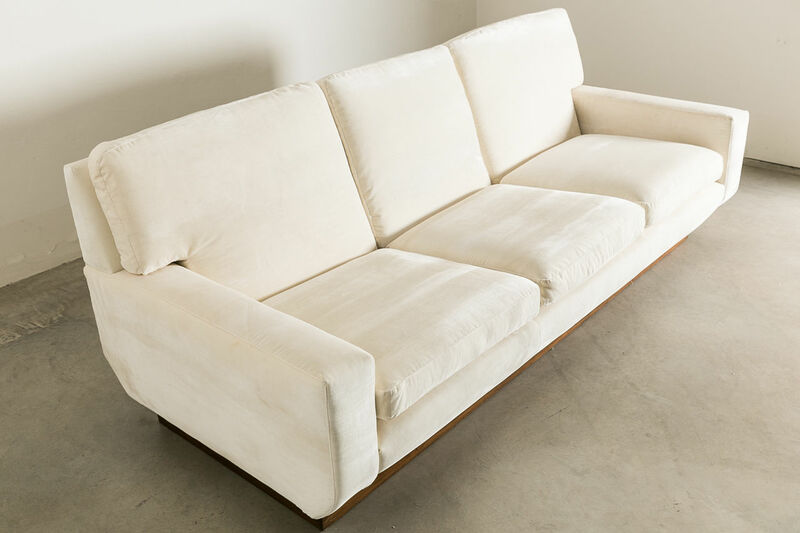 It comprises of a generous 3 seater, and 4 arcmhairs. 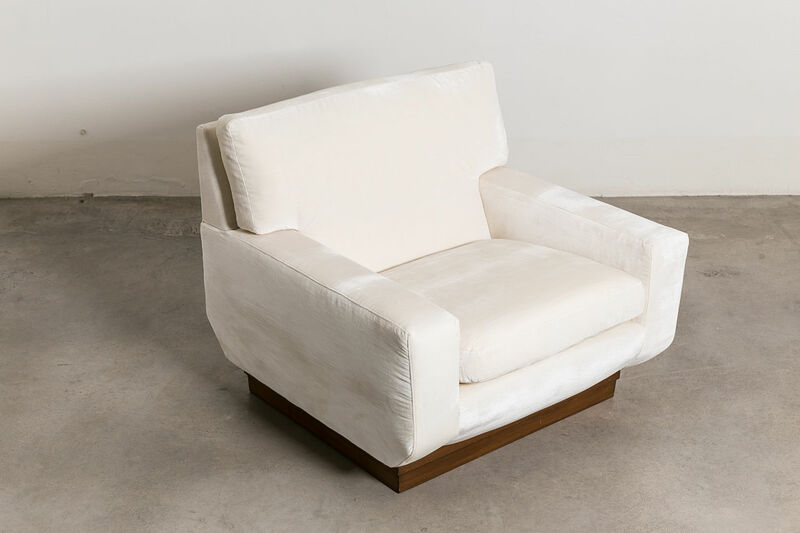 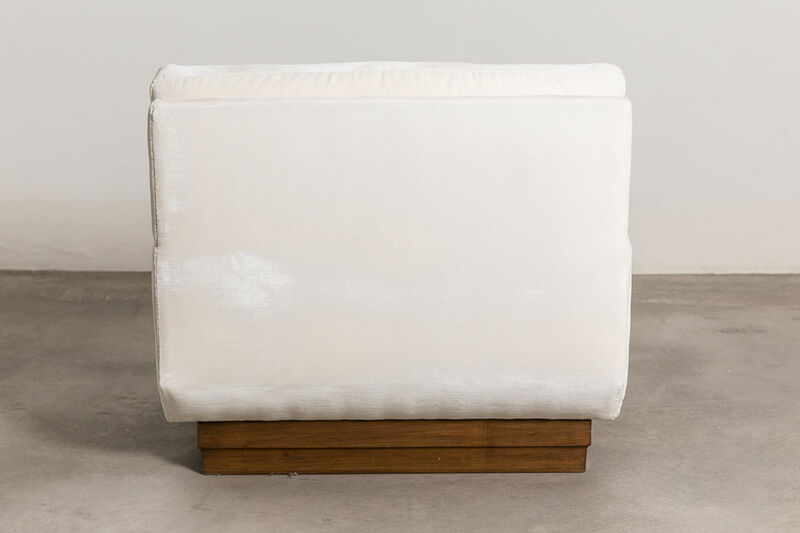 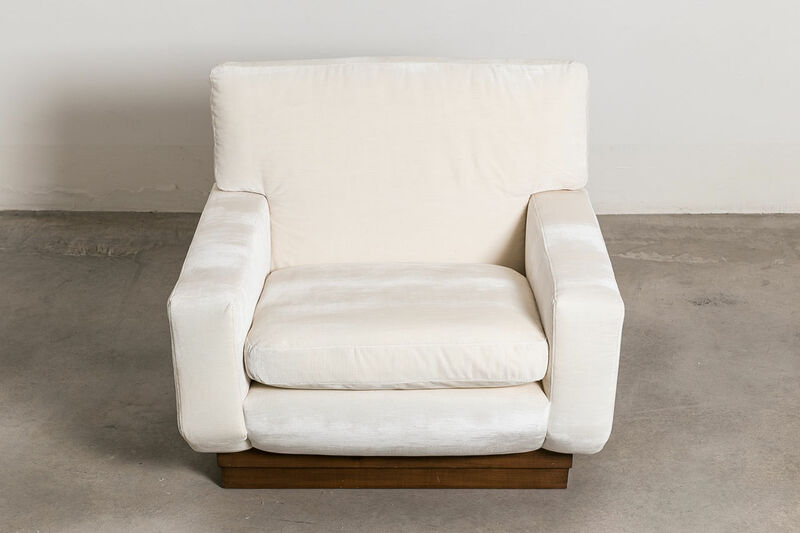 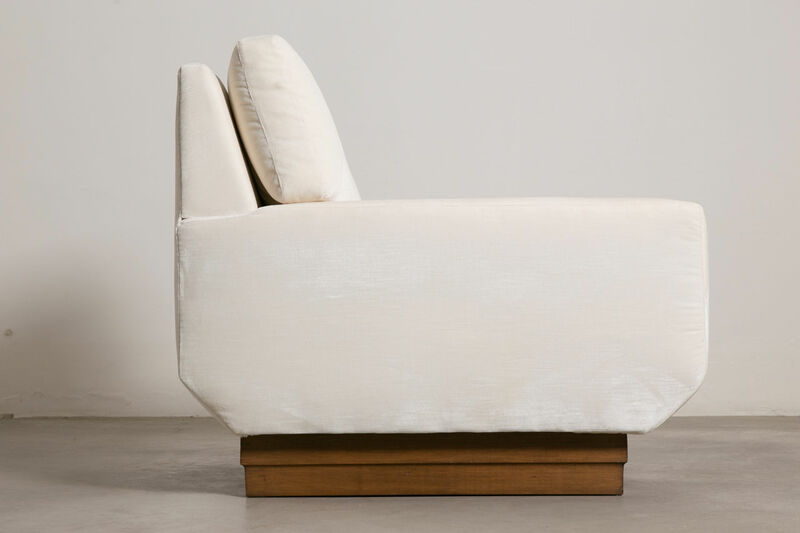 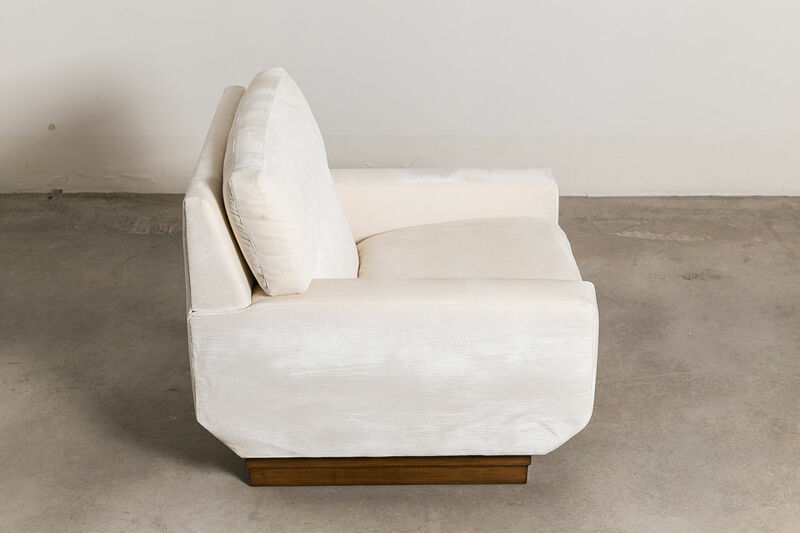 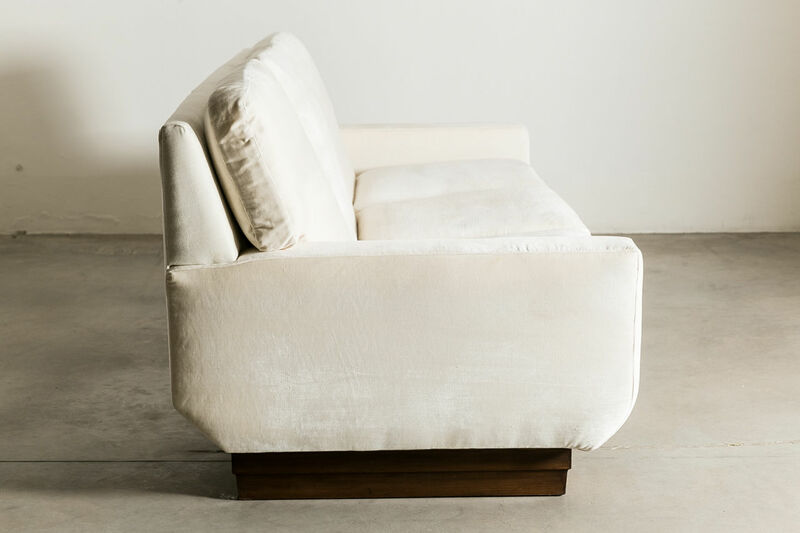 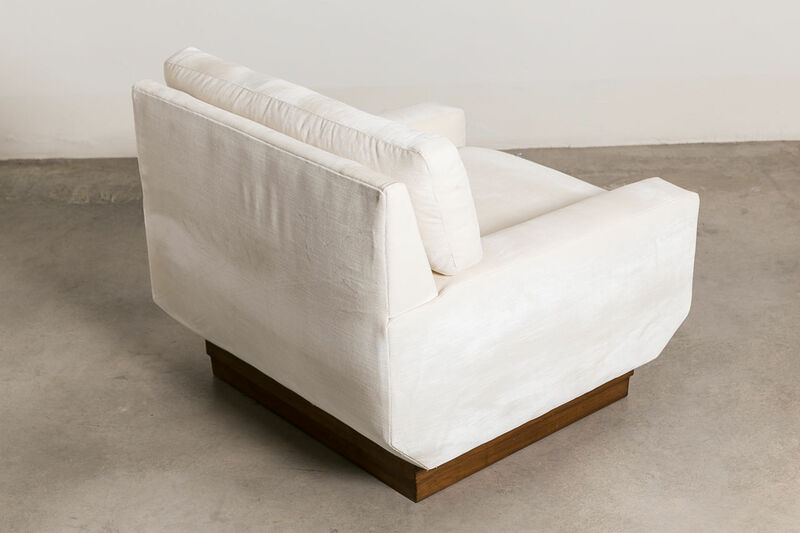 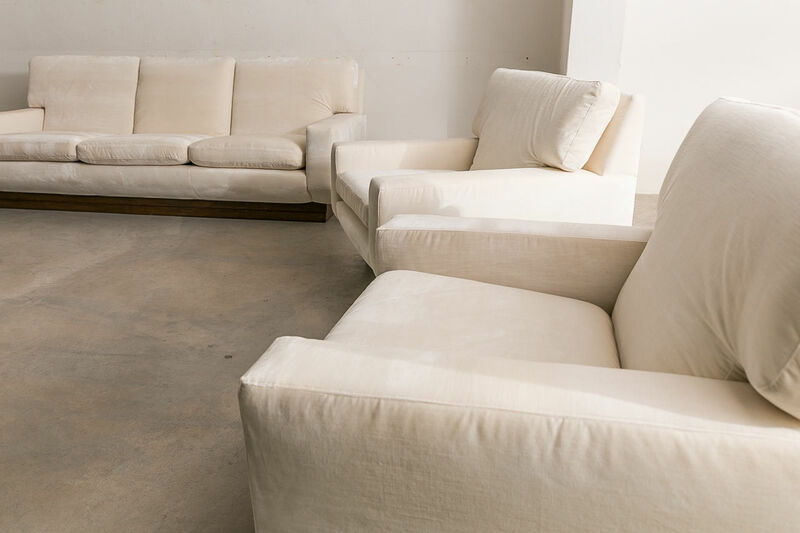 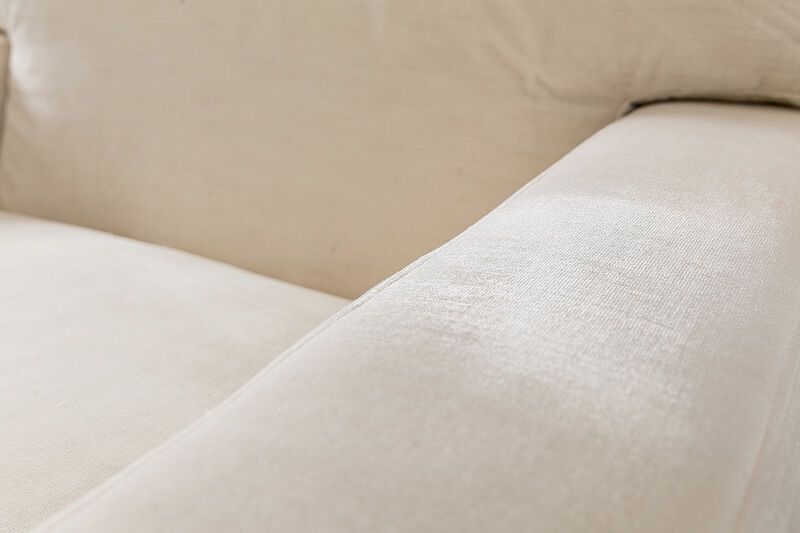 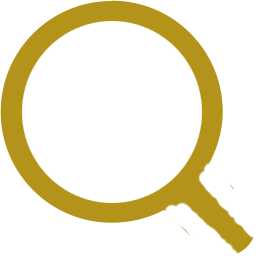 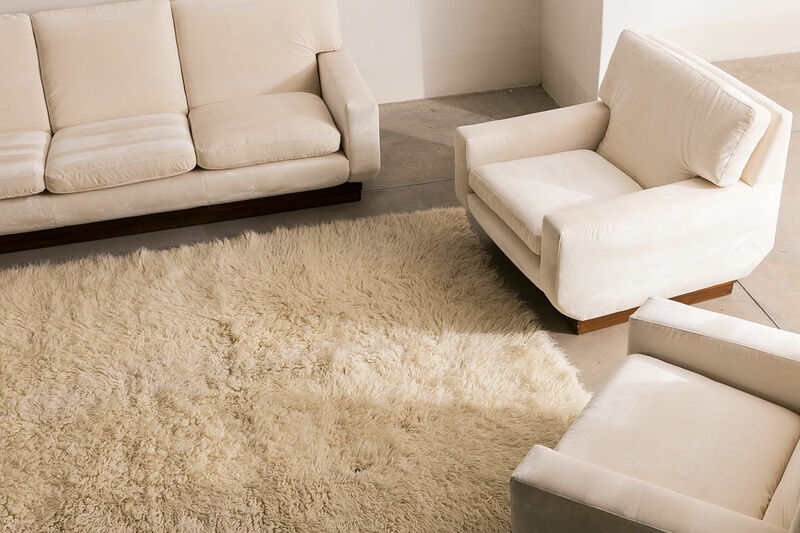 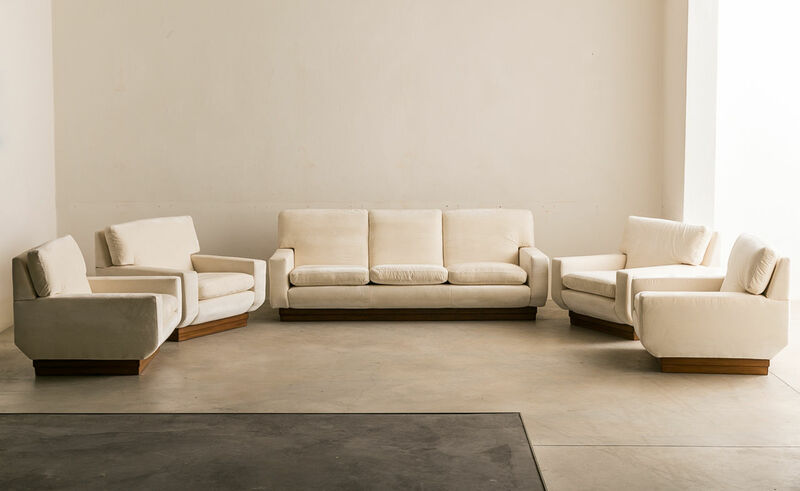 Still in its original cream velour fabric which contrasts so nicel | Castorina & Co. 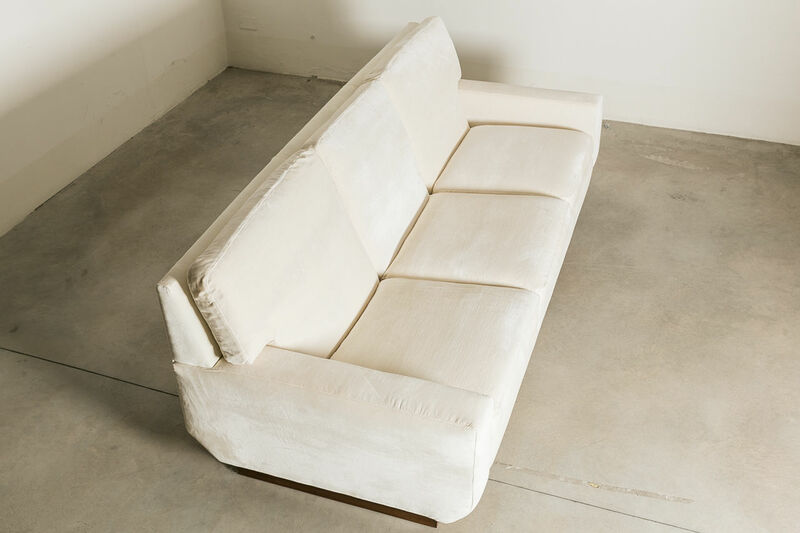 This custom designed sofa By Pierre Balmain, CIrca 1975, France. 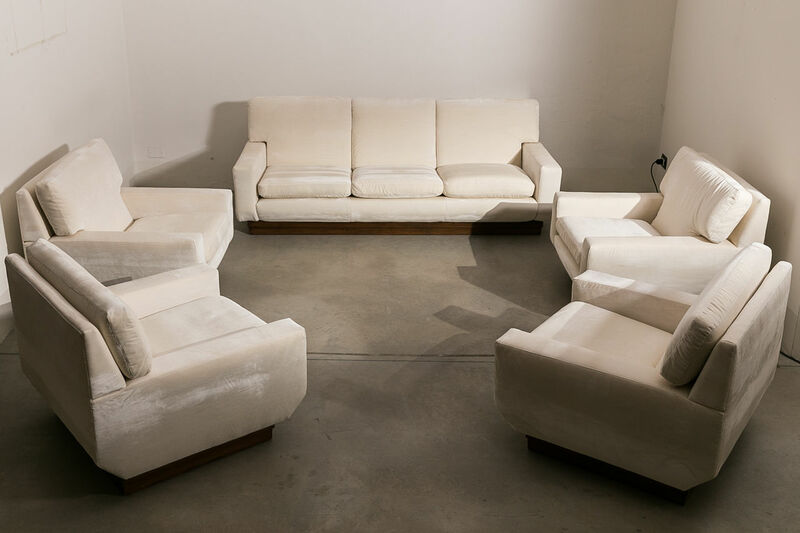 It comprises of a generous 3 seater, and 4 arcmhairs. 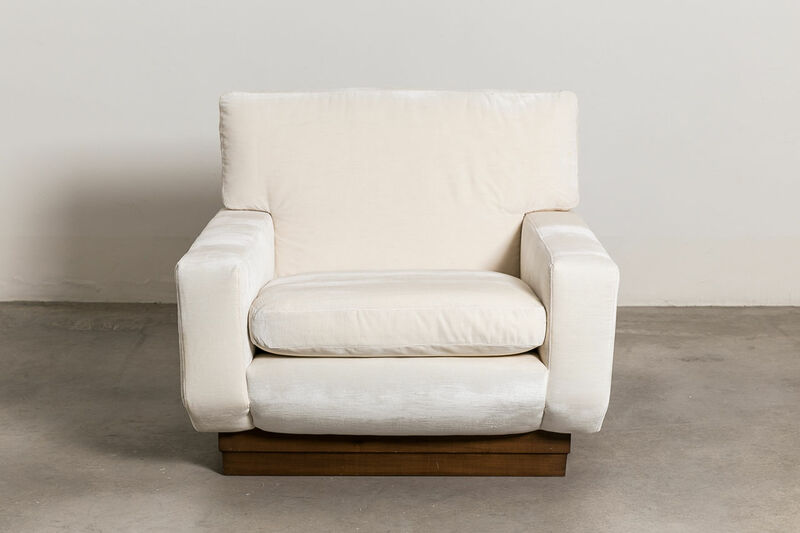 Still in its original cream velour fabric which contrasts so nicely against the timber base. 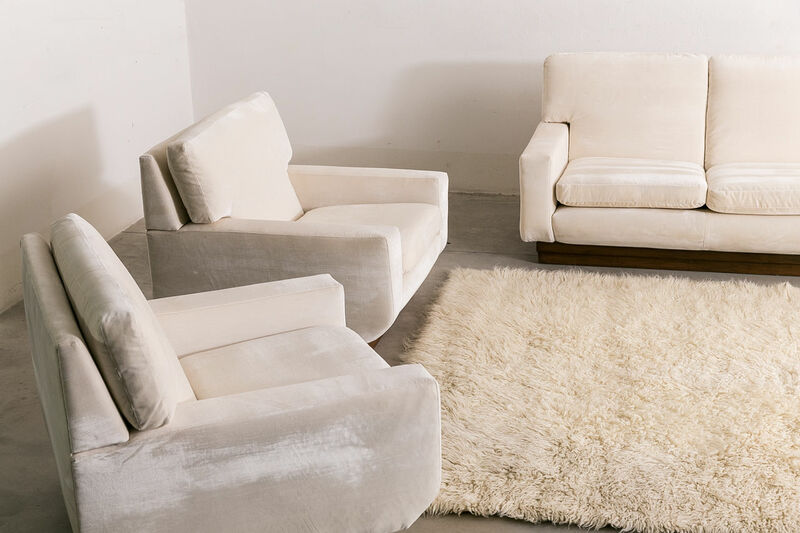 Very Elegant Lounge set.